Presented on triple 180g heavyweight coloured vinyl, and housed in a beautiful 12” x 12” hardback book featuring newly commissioned sleeve notes, and including an exclusive note from author Neil Gaiman (American Gods, Coraline, Stardust). 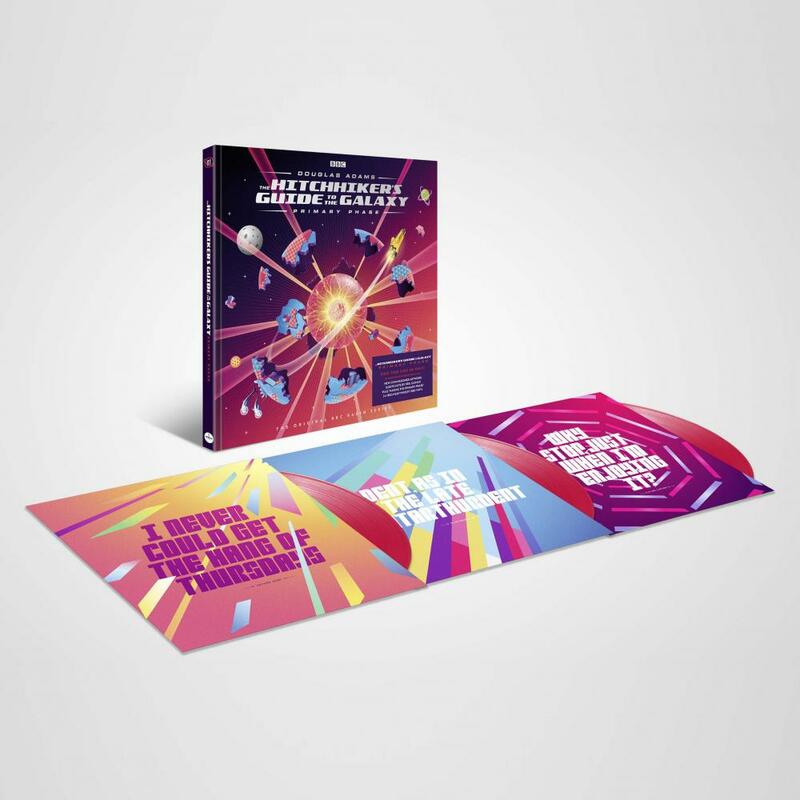 Each volume also includes a ‘Making of’ sleeve note by Jem Roberts, author of The Frood: The Authorised and Very Official History of Douglas Adams & The Hitchhiker’s Guide to the Galaxy. Starring Peter Jones as The Book, with Simon Jones as Arthur Dent, Geoffrey McGivern as Ford Prefect, Mark Wing-Davey as Zaphod Beeblebrox, Susan Sheridan as Trillian, and Stephen Moore as Marvin the Paranoid Android. With guest cast including Jim Broadbent, David Jason, Richard Vernon, Roy Hudd, Bill Wallis, Jonathan Cecil and Beth Porter, and sound effects by the BBC Radiophonic Workshop.